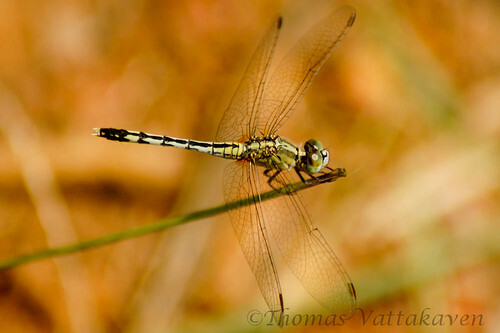 The Ground Skimmer (Diplacodes trivialis) is another common species of dragonfly that one is likely to encounter in Kerala. 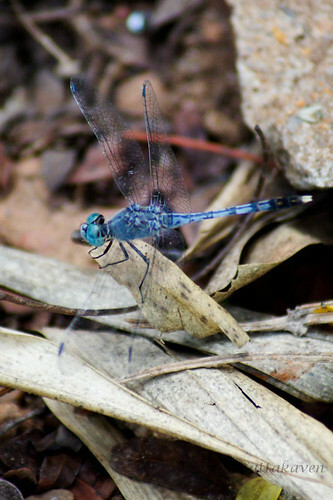 The male has a pale azure blue colour with eyes that are reddish brown above and pale bluish or yellowish below. 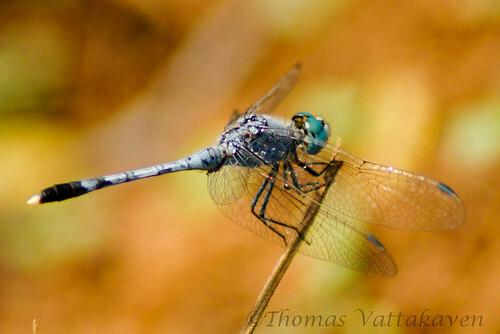 The wings are transparent with wing spots varying from dark blue or grey to black. 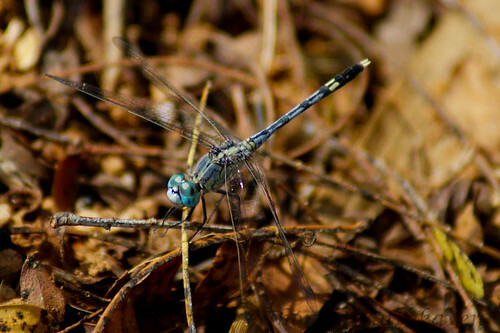 The female is greenish yellow with black markings like the male, dividing the abdomen into several segments. These skimmers usually perch on the ground and rarely flies above 1 meter in height. 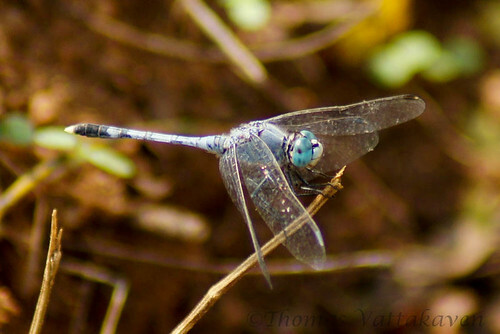 Hence its name of ground skimmer. 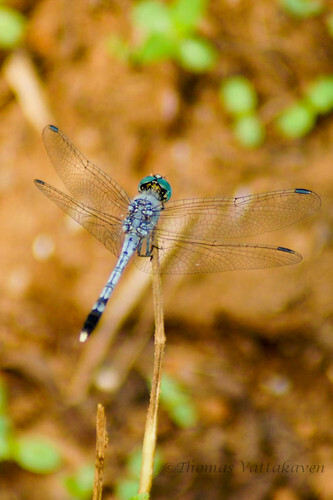 These dragonflies are common across India . 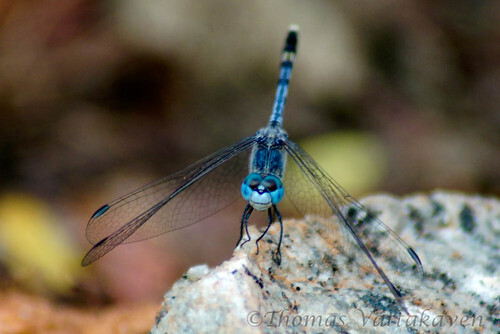 If you have caught and played with dragonflies as a child, chances are that it may have been a ground skimmer. 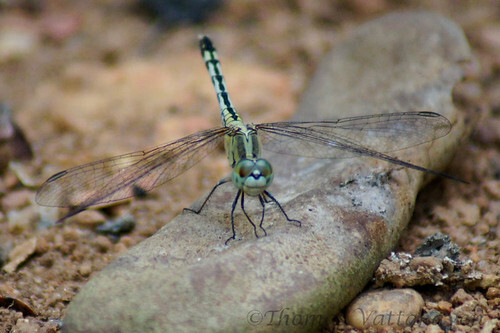 Yes, sure did encounter this pretty dragonfly in Kerala. Used to find many of them in open, wet fields. Great shots nevertheless! You have some superb macro images. I look forward to following your blog.